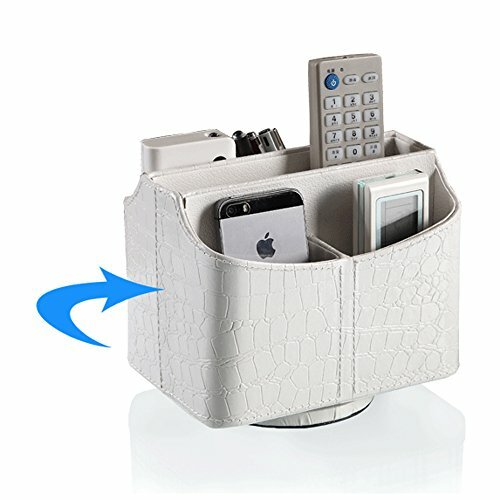 ORGANIZE EVERYTHING Put TV, DVD, Blu Ray, Satellite, Cable and all your other remotes in this useful remote control organizer caddy. Use it for desk organization, and place all your pens, clips, notepads and other office supplies neatly in its 5 compartments. Set it on a side table as an electronic organizer, creating a centralized place for all your home's various electronic media. 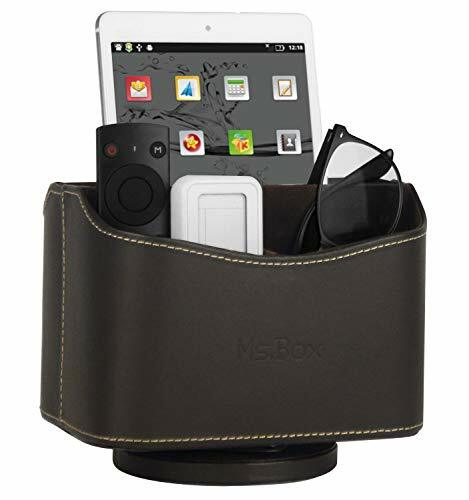 SAVE TIME With everything in one place, there's no more wasting time looking for important things, and with this media organizer and its spinning base, you won't have to reach around other items to find the item you're looking for, just turn it around and search with ease. 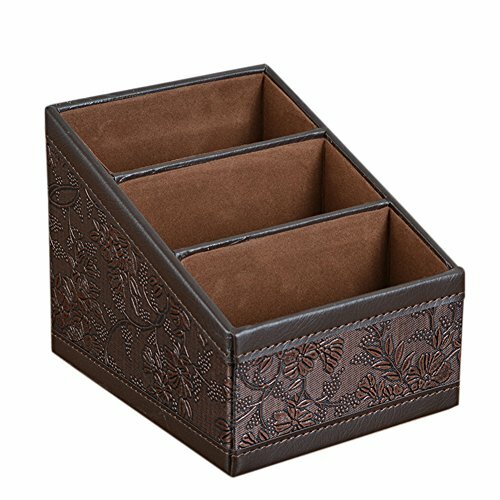 STYLISH & USEFUL Don't let form follow function with this chic home organizer. 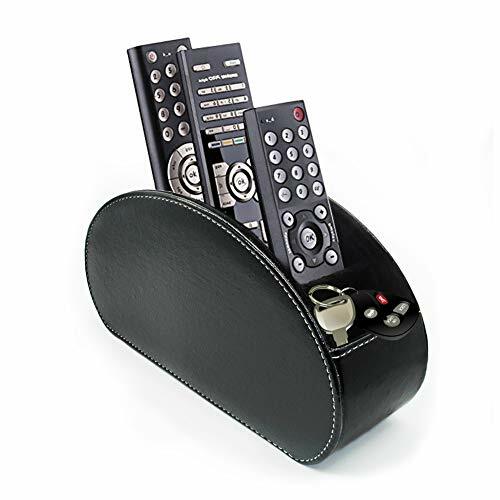 The exquisite and durable black faux leather material of this TV remote organizer has refined stitching that adds a delicate and tasteful note to the decor of any room while increasing home organization. GET YOURS TODAY! Multi-functional TV Remote Organizer can be set on a side table, helps to arrange all your home's various electronic media in one place, saving time looking for things Material Type: Leather Size: 2.76" Wide, 4.53" High and 8.46" Length. Dimension: 6.3 x 5.2 x 5.2/2.75 inches L x W x H Surface is made of high quality PU leather, interior and bottom are made of soft flannel. 3 different height sections for remote controls, CD and other things of different size. Great organizer for desktop. Save your space. 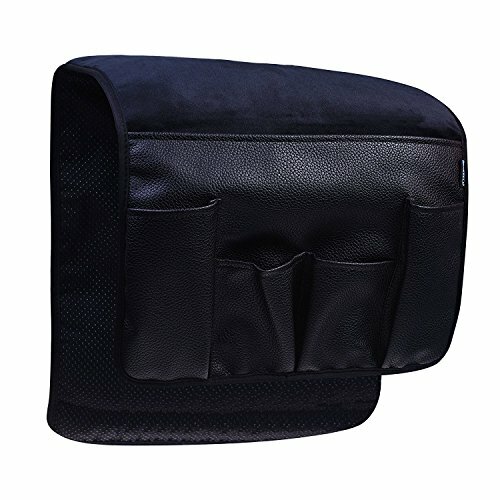 Description: Product size (L x W): 34 x 13inches Material: exterior velvet fabric+ PU leather with foam, anti-slip layer 5 pockets design, convenient to organize your remote control, cell phone pen, book, magazine etc. and your book, remote control，cell will not "always LOST" The long strip keeps it from sliding down and it's very convenient. Velvet surface, offer you a comfortable touch and experience How to use Prevent the organizer falling down, please put the end of the organizer under the sofa mat or tucks down between the arm and cushion Good Gift High quality product, wonderful gift for anyone who multitasks while watching the television or who just needs a caddy to keep all the little needs close and secure at hand. This would be especially handy for someone living alone; living in an assisted living facility or anyone who finds getting UP and DOWN a bit of a chore. What a perfect gift!!! This type of 3 slot desk holder perfect for: Remote Controller Holder Organizer Home Sundries Storage Box TV Guide/Mail/CD Organizer/Caddy/Holder with Free Cable Organizer Remark: please keep it in dry condition for long time using. UnionBasic is owned by HomePlus Store and please make sure you place the order from the correct seller to protect and honor your warranty in the future. 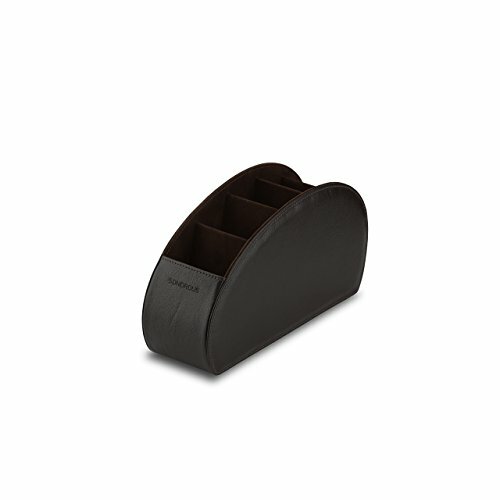 This high quality remote control caddy is made of Pu leather with dramatic stitched edges, bringing both function and style to your living room! Five small sections hold anything from remote controls to pens and pencils, while a larger inner section is perfect for small periodicals and television guides. This remote control organizer spins on its base and is finished on all sides, a perfect look for the coffee table in the center of the room. Discover the many uses of this versatile 5 section spinning remote organizer. 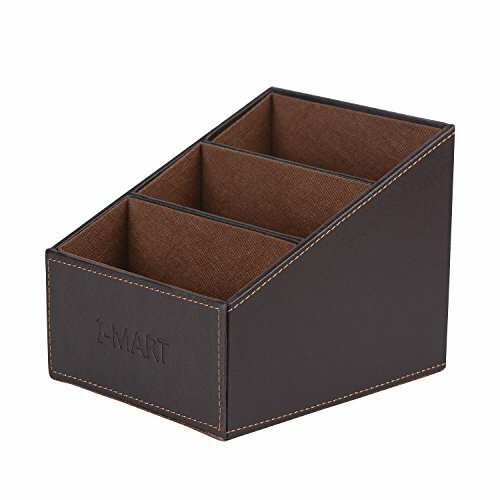 Looking for more Leather Remote Control Organizer similar ideas? Try to explore these searches: 0.906' Center, Pecan Queen Size Bed, and Machine Applique Quilting. Look at latest related video about Leather Remote Control Organizer. Shopwizion.com is the smartest way for online shopping: compare prices of leading online shops for best deals around the web. 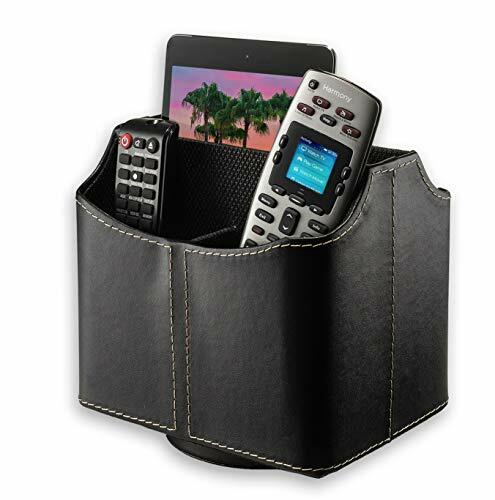 Don't miss TOP Leather Remote Control Organizer deals, updated daily.